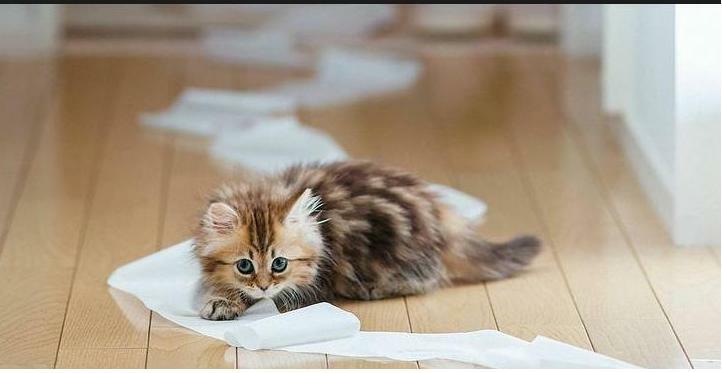 I want to talk to you about a personal issue…tissue! Let’s face it, unless we qualify for Extreme Cheapskate status, we all use it, and some more than others. There is one thing: I don’t like the cheap stuff – it annoys me. I think I use the same amount, I just have to roll and roll and roll…I’m also annoyed that the different brands have different sizes, lengths and widths, thicknesses and plies. The Frugal Frau in my wants to do a definitive study, but it’s like hitting a moving target – these change, and even looking at one brand is overwhelming. I’ve seen charts online, and they obviously have this same problem – they’re outdated almost immediately. This one doesn’t include “Family” or “Giant” rolls in their pricing. Notice the square feet for the Charmin Ultra Soft 6 Mega Roll package from this blog posting a few weeks ago: 250 Square feet. I’m a die hard Charmin user, but Charmin has shrunk the width of their rolls, yet again, apparently only on some packages, making finding a bargain even harder than it used to be – do they think we won’t notice? This also makes it very hard to compare pricing by square feet, which is really the definitive way to compare. I’m also particularly annoyed that Charmin no longer fits well the little baskets I keep on the back of the john for extra rolls. P & G, you’re messing up my style! Charmin, too, is incredibly hard to price out: they have basic, sensitive, ultra soft, and ultra strong, and they are constantly changing roll sizes and types, number of square feet in a roll and number of rolls in their packaging. “Bonus” rolls in some packages adds more confusion. I found what I think is MY best strategy for finding great pricing – I don’t try to be exact, I just look for a good deal – I watch for specials, coupons and offers for money back and use a target price of about 30 cents for a double roll or larger of Charmin. If I find it cheaper, or larger rolls at this same price, I’ll stock up – I’m not gonna fill my basement or garage with it, but I will buy several packages. I have a strategy for taking best advantage of many different types of sales in which one gets “money” back…this strategy is perfect for many types of products, but in my first example I show how to buy tp and lower the cost. The same amount of Charmin (80 double rolls, 4 packages of 20 double rolls) ranges from $83.48 on an Amazon special deal, to a sales price of about $55.26, to a “money back” coupon deal at CVS with a price of $29.96. Knowing how to combine products in a deal lowers the price to $25.82. Combining offers lowers it to $18.92 and throw in a rebate (if and when available, usually every quarter) a startling $5.61. All for the same type and amount of Charmin. Be aware that the large packages often found at discount clubs, online and some of the big stores are not always a great deal. While I’ve been tempted to just order massive amounts of TP and be done with it, I find my best pricing on a regular basis at CVS or the grocery store. One caveat: Be careful buying TP – and know how much you’re willing to pay – I often see stacks of TP in a store, seemingly on sale, with signs indicating sale prices, and those prices are just pennies less than the regular price and sometime even more than if you walk around the corner and pick up a larger package of the same brand. The Payoff? It is probably greater than one might think (see the last few paragraphs) – when you are using a product day after day, week after week, the savings add up over the course of a year. Products like toilet paper, often paid for with a rueful shrug by consumers who feel hopeless to do better, are products that often afford the greatest savings. P & G also has a site, P & G Everyday. where you can request certain coupons, print coupons and get samples of some of their items. 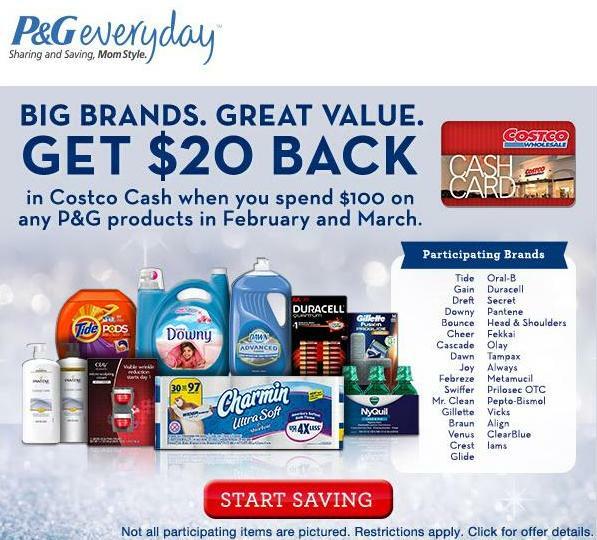 P & G’s HomeMade Simple Site lets you request a coupon booklet to come by mail every quarter – they are generally a higher amount than many coupons out there, but you do need to go back and make the request. Coupons are sometimes available in the store or even on the packaging of the products – watch for them and grab them. Make sure your check out clerk removes them from the package and scans them, too. The above solutions, though, generally just give pennies off, even if shopping at a store that doubles coupons, and while I generally request the coupons, especially because they often come with coupons for other products that have higher values, I’m always looking for alternative on TP pricing. P & G Rebates: P & G, from time to time, offers “rebates.” when you send in a form, grocery receipt and UPC from items. Sometimes you don’t even need the UPC, just the receipt. Usually these are tied to particular stores (they print out on the receipt or on an alternate slip of paper) and sometimes they are tied to particular products. Often TP is one of those. With some offers, everything has to be bought at once, and with others, you can buy over a period of time. These rebates are usually in the form of Visa Gift Cards – Do NOT just stick them in your purse or wallet – they generally have to be activated within a certain amount of time (then they can be used later) but if they aren’t activated within the time period, they can’t be used, ever. I look for my coupon matching site to notify me of these offers. Here is the current offer for the first quarter of 2014. CVS: CVS is a great place to buy Charmin – during the last week of the month, they’ll generally post an add where if you buy so many dollars worth of P & G products, you’ll get Extra Bucks to spend at their store. I usually check ahead for the ads at I Heart CVS. And of course, I use my coupons, too, for a few more cents off. There are ways to come out a bit ahead on these sales, and I’ll show some calculations on those here. Those who follow my blog may have already read how to get Great Savings at CVS. Target is another place that often offers incentives to buy P & G products, usually in the form of a $5.00 or $10.00 gift certificate, depending on how much product you buy…often these are mix and match. Personally, I rarely shop Target because their prices are generally so much higher than my grocery store or CVS/Walgreens items on special. I do look at my coupon matching site every week for deals, so I am always comparing those prices. I find Target’s pricing so much higher, as a matter of fact, that I rarely go to a Target more than two to four times a year, and generally it’s for one of these types of deals. I like to save the Target cards for stocking stuffers or small gifts. Grocery Stores: Grocery stores will sometimes offer Catalinas (the little slips of paper that print out with your bill) for buying so much of a product; the Catalinas may be cash off your next shopping trip, or sometimes some other item tied to the product. One time I bought 20 dollars worth of P & G product and got 10 codes for free Redbox rentals. Not a bad deal. As mentioned above under P & G rebates, the P & G rebates are often tied to certain grocery stores. 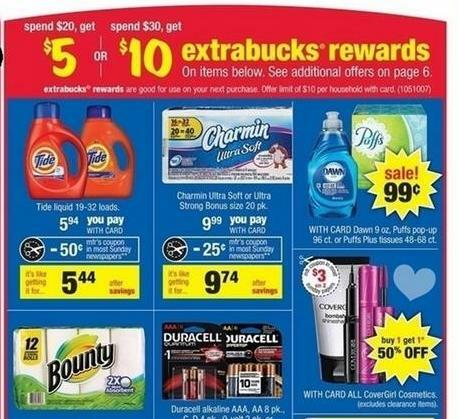 Sometimes the P & G rebates run at the same time as the Catalinas – a great time to use coupons and triple dip and by “stacking” the savings. Here’s an example written up for shoppers (not in my area and it is expired) that I want to show as it’s a good example of this. Again, I generally watch for my coupon matching site to notify about deals like this – I’d go crazy looking for deals if it weren’t for Carrie Roche and her team. I’ve already been looked at askance by some family members when I shared this, but this was a revelation to me…you will, of course, need to use your own good judgement and results may vary! See, in the past, I’ve been a “scruncher,” I just pulled off what seemed like an appropriate amount, scrunched, wiped and went on my way…then one day I thought about it…was “scrunching” the best way to use TP? Could folding be better? I began to cut back and by folding only used 4 squares (for the less serious jobs) instead. Then I noticed that the squares were generous in size – far more generous than needed (those wiley manufacturers) and realized that if I ignored the lines and folded three squares into 4 layers, it worked great! For every 8 rolls I used to use, I now use 3. The savings for a family who uses a roll a day at the average price of $1.19 a roll is about $272 dollars. (From a whopping $434.00 to $162.00) Think of it this way: you’re not wasting any time as you can fold as you go…*smirk* but think of how much time you spend trying to reduce costs of other items – say shopping around for cheaper plane tickets, hotel rooms, appliances, etc. Do you dig out a card to save 3 or 5 cents a gallon on gas at a fill up? The average fill up is 10 gallons, so you save 30 to 50 cents. So how about you?? Anyone out there have any great ways to shop for tissue? Any great ways of saving money on it? 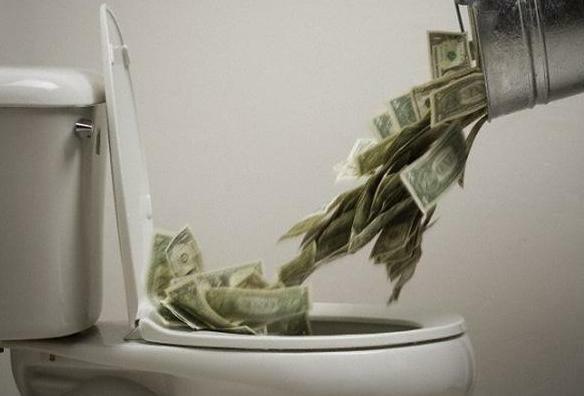 I’m also curious – any one out there have any idea how much they spend on TP a year…or how much they actually go through? The day after this post, I got an email, and it was too good not to post (Sign up for emails from P & G Everyday!) Let me say this, though, I have no intention of becoming the toilet paper queen and won’t continue to update with specials/etc. in the future…this one just seems timely and is another great example of how to buy TP! Here’s the link I was sent to at Costco. 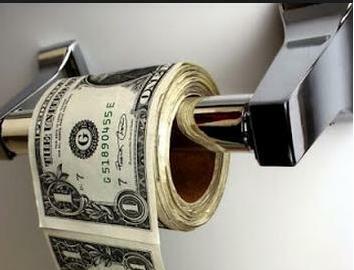 Where’s your favorite place to buy Toilet Paper? I don’t often shop online or at the Big Box stores…does anyone have any great hints or tips for buying there? This entry was posted in Click here for Fabulous Food Posts, Frugal Helps and tagged Bathroom, Other Frugal Helps. Bookmark the permalink. I think this is the first article I’ve ever read on toilet paper or should I say bath tissue!? It seems so comprehensive. I like Charming Ultra Soft myself. It is like luxury paper! I can get a little detailed now and then, hahah! And I am a Charmin fan, too, although some of the other brands are getting a lot better!